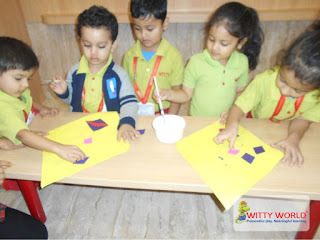 I look like a kite. Whose corners are pulled tight. Danny Diamond visited the little Wittians of the Nursery section on Friday, morning, 5th January, 2018. 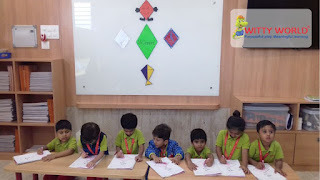 When the children entered the classroom, it was beautifully decorated with Diamond shape cutouts. 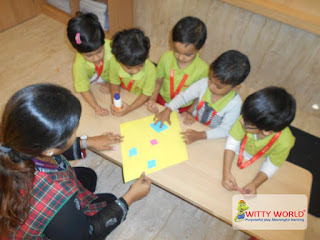 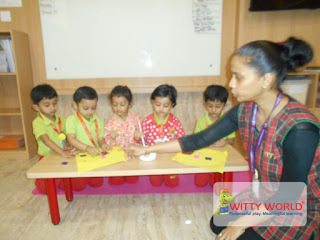 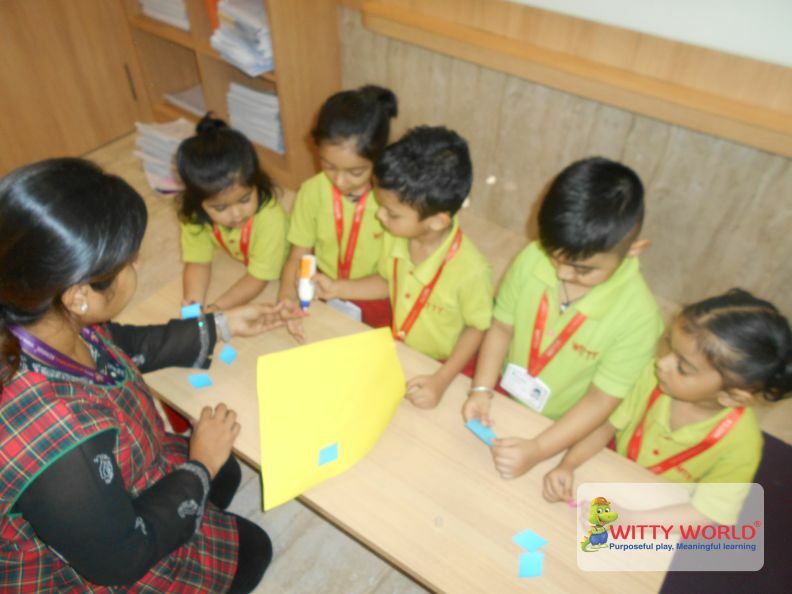 The teachers introduced the Diamond shape with the help of a shape story and related shape objects. 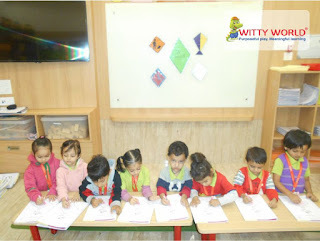 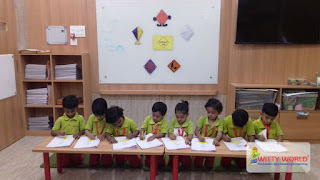 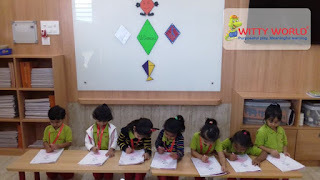 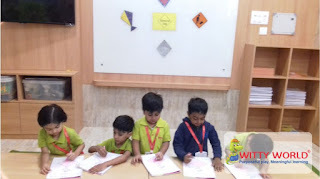 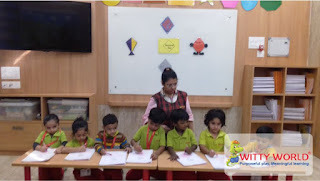 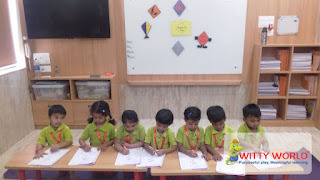 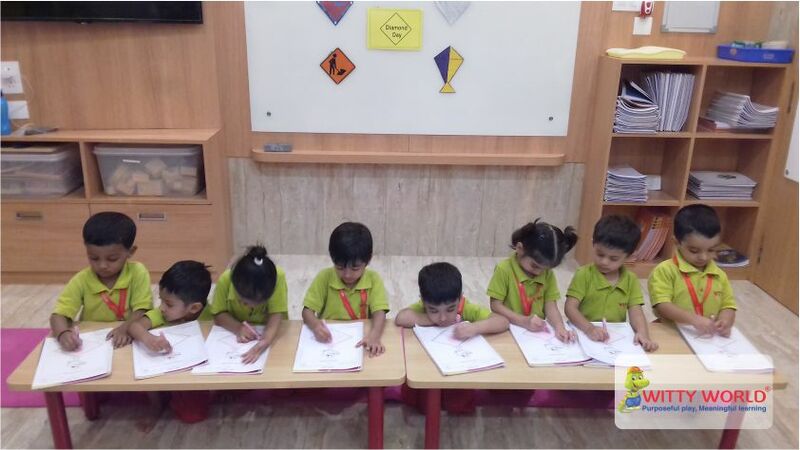 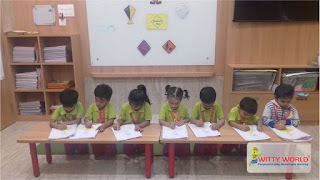 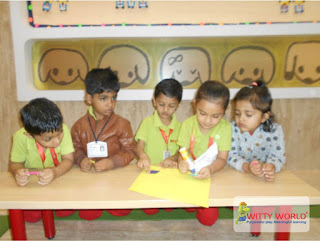 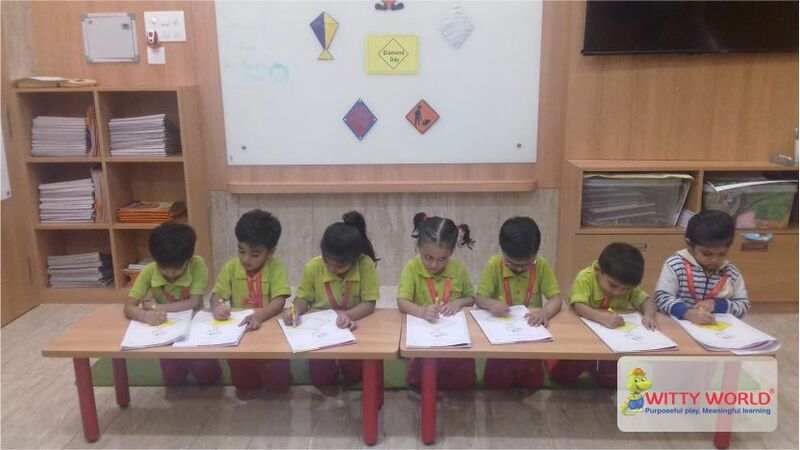 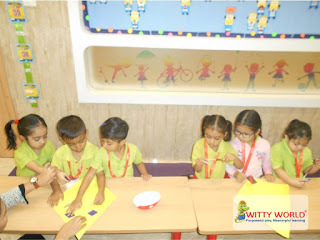 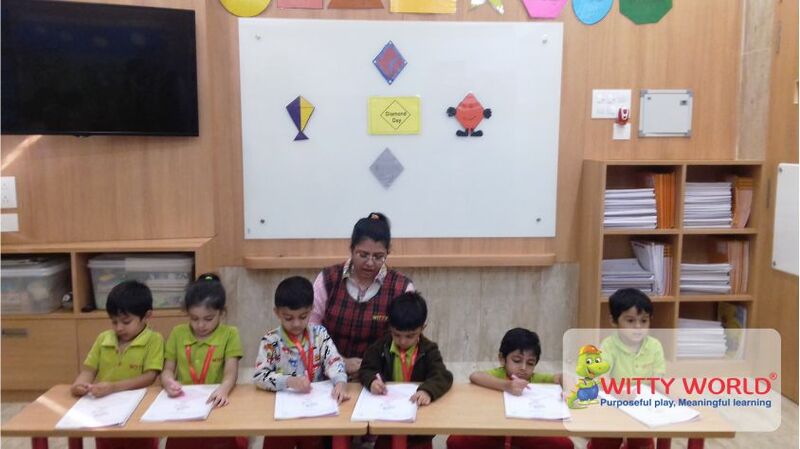 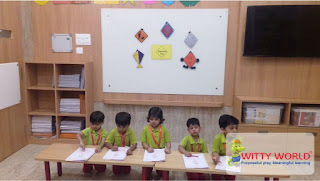 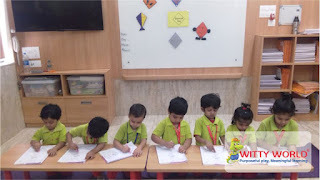 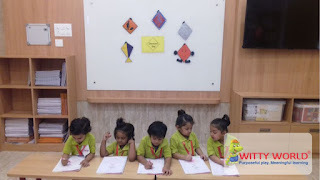 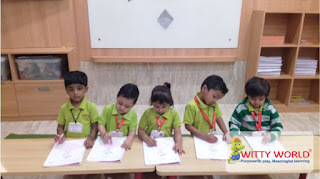 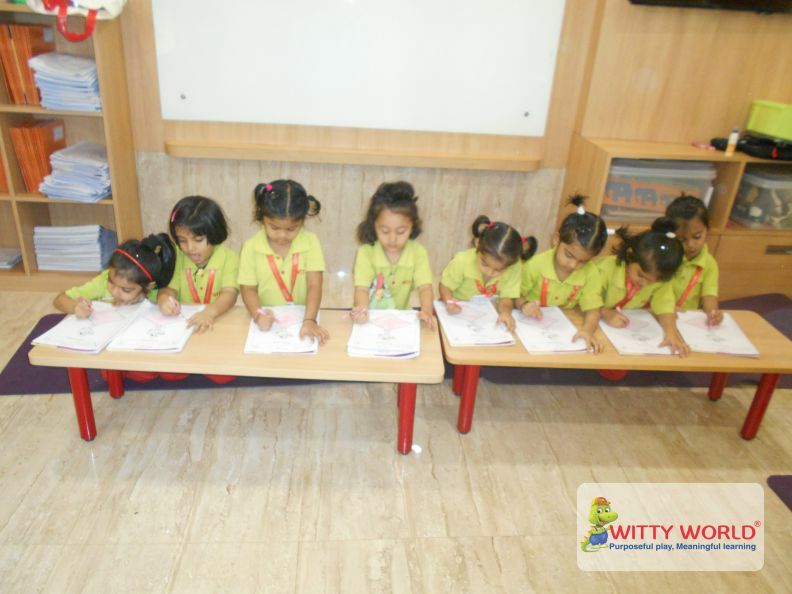 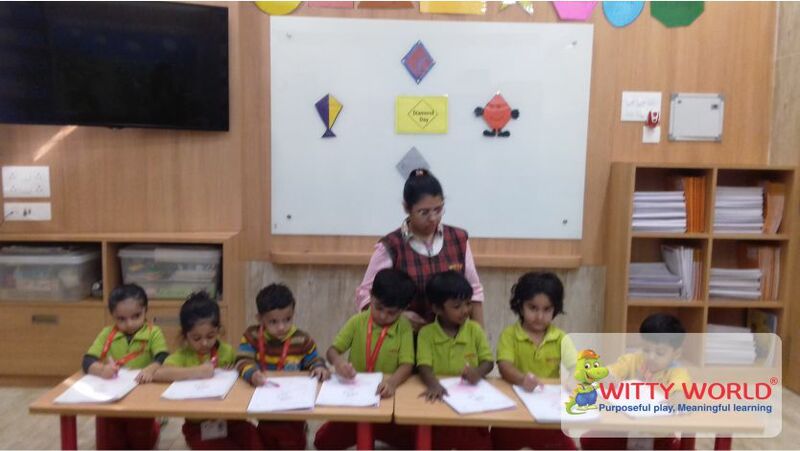 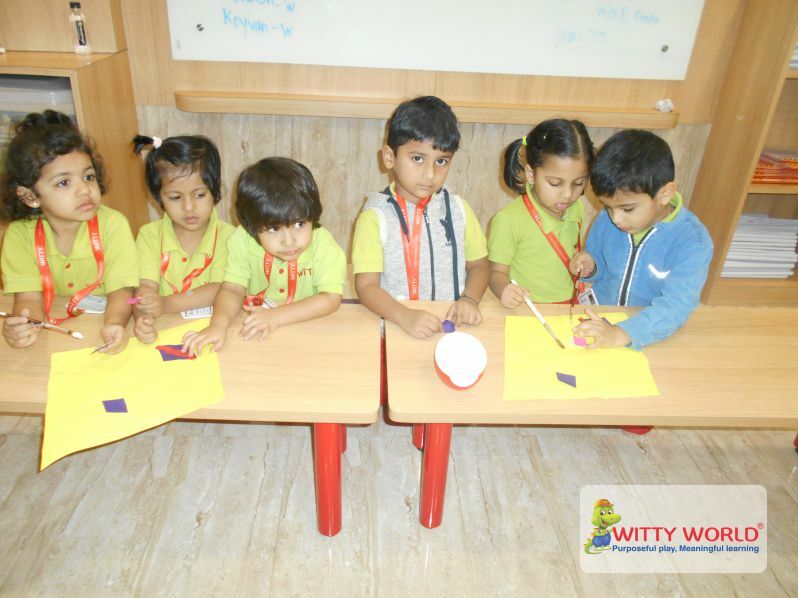 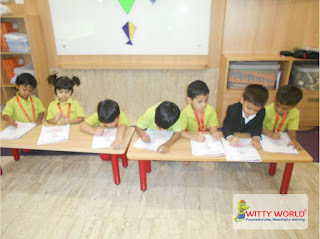 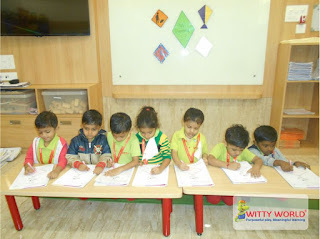 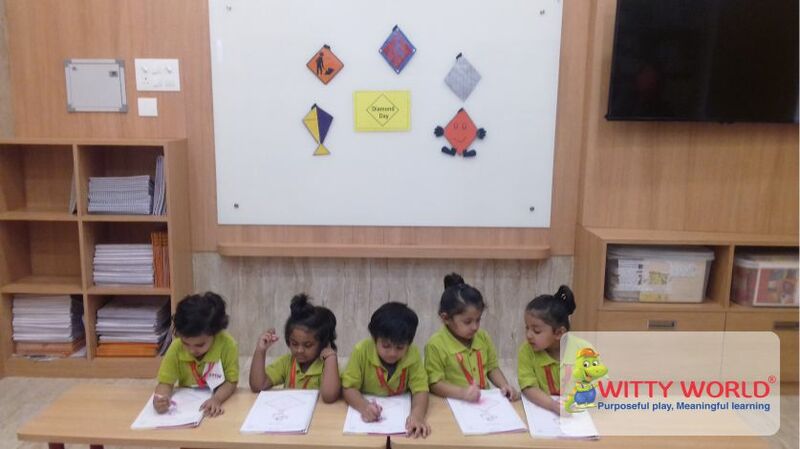 The little ones enjoyed colouring the worksheet of Mr. Diamond and sung the rhyme for him. 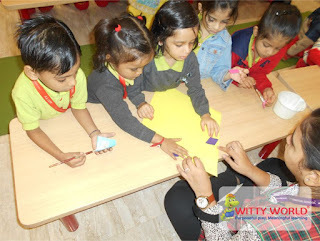 The Children enjoyed making a diamond shape with the help of their fingers and sang the rhyme "Twinkle twinkle little star". It was a very fascinating experience for the children to learn about the shape Diamond in different ways.